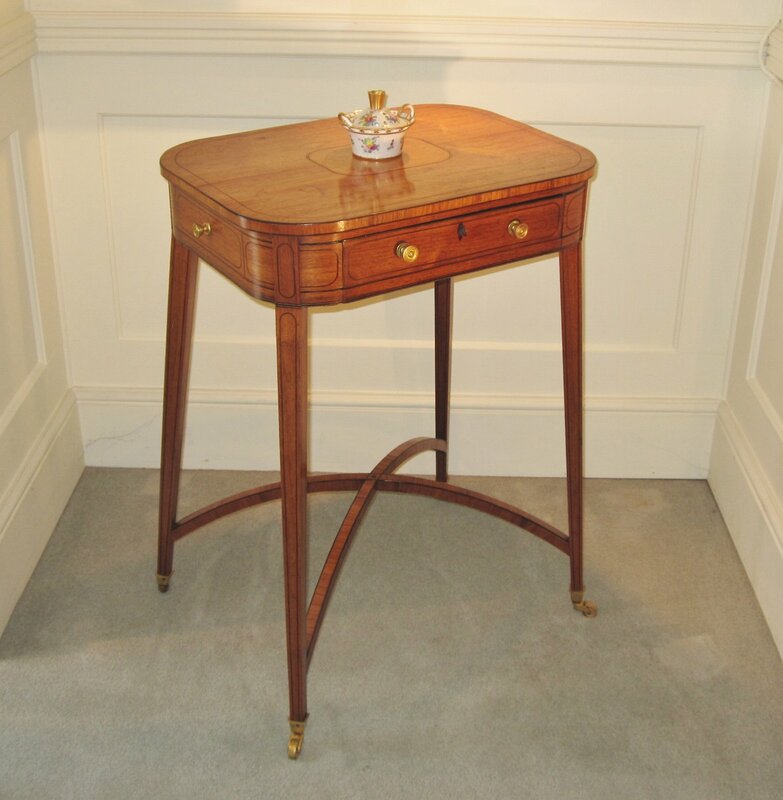 A LATE 18TH CENTURY TULIPWOOD OCCASIONAL TABLE. GEORGE III, CIRCA 1780. An elegant free standing table, with a rounded oblong top inlaid with ebony stringing and with an oblong central panel, over a frieze with a single fitted drawer to the front, rounded corners, and with corresponding inlaid stringing forming panels to all sides. Gilded round cast handles to the drawer and sides. The table raised on four square and tapering legs, again with line stringing, and united by umbrella shape cross stretcher.